The Outlaws, featuring the original five members in 1967. Formed in Tampa, Florida, in 1967 by guitarist and lead vocalist, Hugh "Hughie" Edward Thomasson, Jr., The Outlaws peaked in popularity in the mid-to-late 1970s, with hits such as "Green Grass and High Tides," "There Goes Another Love Song," and "(Ghost) Riders in the Sky." Known by fans as "The Florida Guitar Army," the band's three-part harmonies distinguished them from their Southern rock contemporaries. The band experienced more personnel changes than most musical groups, with at least 45 different members between 1967 and 2015. Digital reproduction of Original black and white photograph. 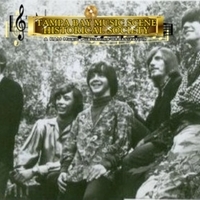 http://www.tampabaymusichistory.com/resources/The%20Outlaws.jpg. 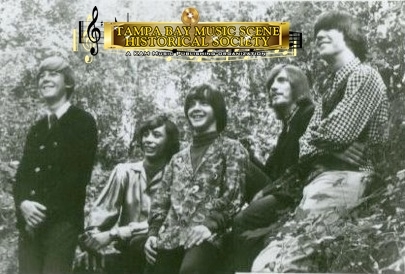 “Original Members of The Outlaws, 1967.” RICHES of Central Florida accessed April 23, 2019, https://richesmi.cah.ucf.edu/omeka/items/show/5470.